Today, there are multiple digital apps, and many of them have millions of users. For instance, if you do any Instagram marketing, you’re competing for the attention of more than 600 million users. Most of these users take the time to go through their Instagram news feed every day. What’s more, many of them take the extra step of regularly liking and commenting on the posts they see as well. In short, more and more people are engaging with their favorite brands and services on Instagram. Therefore, so that your Instagram marketing can be truly effective, your business needs to have a strong presence on that platform. When it does, you will be able to actively engage with your audience and amplify their awareness of your brands. RELATED ARTICLE: IS YOUR COMPANY’S SOCIAL MEDIA PRESENCE LETTING YOU DOWN? Today, you’ll find many Instagram tools available. These tools will help you to improve your productivity and efficiency when you’re marketing your products and services. Take advantage of photo filter options to improve the appearance of your posts, for example. Also, make use of analytics that will help you to schedule your posts for specific times when more Instagram users are likely to stumble upon them. To take things a step further, you might wonder whether you should buy Instagram comments. Of course you could, just to get things started. However, from more organic comments you will learn which aspects of your business your audience likes or dislikes. At the end of the day, you will know where to make changes and where to stay the course. This alone with help you to improve your Instagram marketing. While promoting your products or services with your Instagram marketing, incorporate a few fun activities that your audience can engage in. For example, create contests to generate buzz around your product, therefore reaching more people. Contests are generally easy to execute, depending on the services you offer. For instance, you could organize a selfie photo contest. Simply ask people to drop a selfie that shows them using your products or services. In exchange, they’ll get a chance to win a gift. Such a contest will keep them engaged, as each one tries to outdo everyone else. In short, you will have marketed your product while keeping your audience entertained and engaged. Hashtags and Instagram marketing go hand in hand. Hashtags allow people to locate you easily, especially if you make sure to use hashtags that are unique to your account. Keep in mind, though, that your hashtags must be easy on the eye. That’s because it’s important that they be appealing and that viewers notice them quickly. Again, having the right tools will help you to generate relevant hashtags with good ratings, which will bring more traffic to your account. 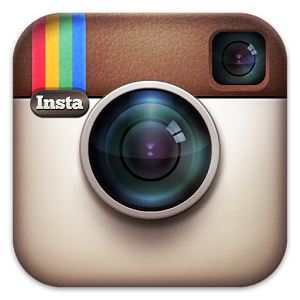 Instagram is increasingly becoming a force to be reckoned with in the world of social media. Its 600 million users represent a wide-open opportunity for you to build your brand and improve your Instagram marketing through your own followers. All you need are the right tools, relevant hashtags, and engaging content.